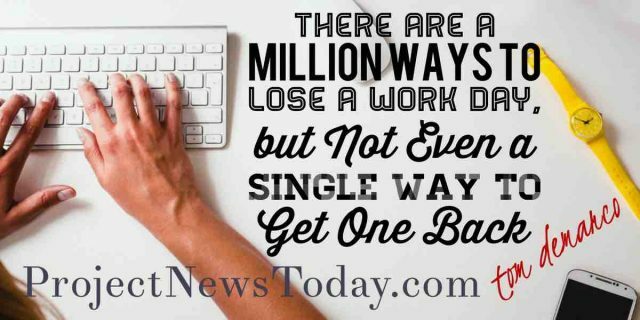 In this article, you will see 5 important measures that brought the company back from the brink. These measures that worked so well for Ford also work on projects. Without these measures, there is a strong possibility that your project will fail. He spent almost 40 years at Boeing first as a lead designer and then as the general manager for the 777. The 777 plane is a very intricate machine with over 3 million parts and a global supply chain. The 777 has been the subject of documentaries, articles and case studies. While the 777 project was very impressive it was not Mulally`s greatest achievement. It was when he saved Ford, the world’s largest car manufacturer from bankruptcy. 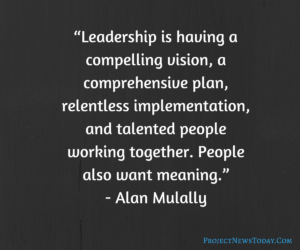 Mulally created the “One Approach”. The “One Ford” approach also inspired Steve Ballmer to launch the “One Microsoft” plan. Alan Mulally joined Ford Motor Company in 2006 as president and chief executive. This was when as the country stood on the brink of a recession. This would bring that would bring the American auto industry to its knees. With Mulally at the helm, Ford managed to weather the storm and return to profitability. This was all achieved within a few short years. He retired from Ford in 2014. Source: http://www.foxbusiness.com/features/2012/04/19/business-leaders-fords-alan-mulally.html. There is no point as the project manager always reporting that the project is green. Saying everything is ok and then towards the end start to panic as everything is broke. A much better approach is to be open and honest with the true status of your project. By being open and honest gives the opportunity for others to help the project. 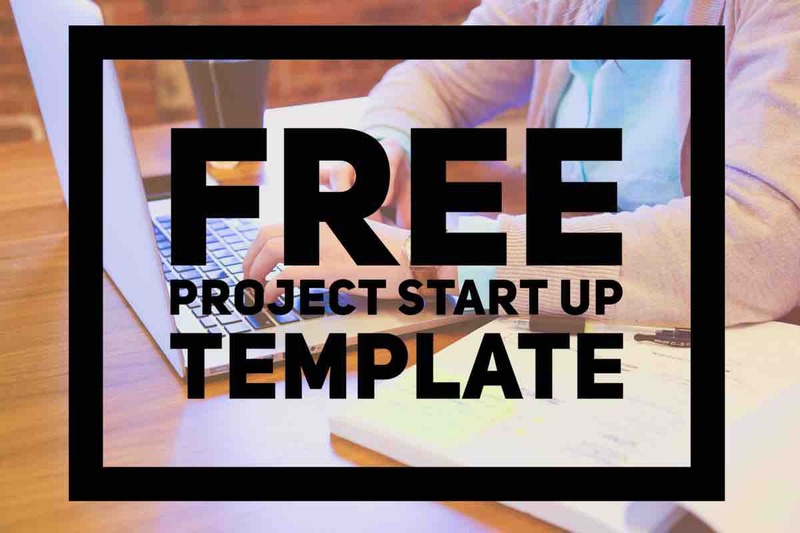 They can help mitigate problems and increase the chance that the project will a success. Study the company in every aspect and don’t be afraid to appeal to other professionals in your line of work. You can’t be an expert in everything. Most people are aware of the need to have a clear project plan yet it is also important to have vision and focus. As the project manager, you are likely to have a bigger picture view than most on the project. Make sure you share and make the team aware of why they are doing a particular task. Showing someone how the task that they are doing links to the benefits of the project is a huge motivator. Also showing what the focus should be will help give the project team clarity on what they should be working on. A great way to do this is to have regular sessions with the project team. In each session outline what is complete and what is next to do. You should start by asking yourself, is the current company structure make economic sense? Mulally restructured the organization by integrating the regions and functions. He made each business unit accountable for their own operations. Some key functions moved and managed from one place. This whole process had the brand “One Ford”. It also helped de-bureaucratize the whole company, reducing costs and focus on innovation. An easy way to make things simple on your project right at the start is making sure the scope is clear. During the delivery of the project, it is a good idea to break the project down into easy to understand small parts. It should be clear to both the project team member and the executive what the current goal of the project is. One way is to break the project delivery down into many different phases. Under Mulally`s leadership, Ford established an approach called “Working Together”. This is encouraging people to meet face to face, share ideas, resolve conflicts and build trust. This, in turn, helps to develop a shared understanding about what they are trying to achieve. Mulally further instilled teamwork by being open and accessible to all employees. He would often stop by and sit in on meetings for a little while. His willingness to listen was effective at motivating employees for their top performance. Good project management requires good leadership. Be open and honest with your project team and this will encourage them to be open and honest with you and each other. 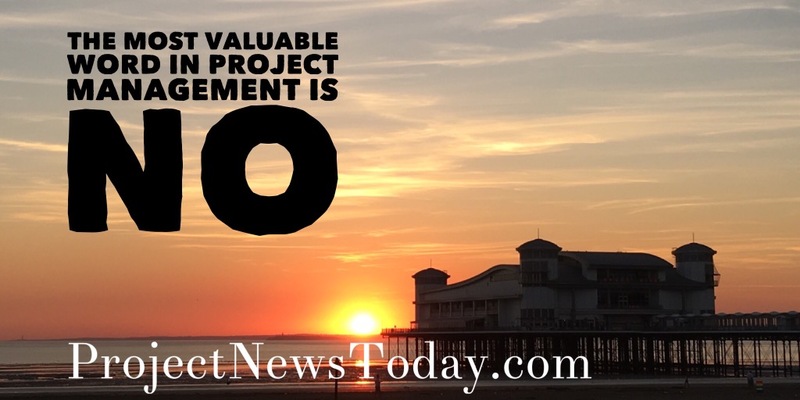 Make the project meetings safe environments for people to have honest discussions. 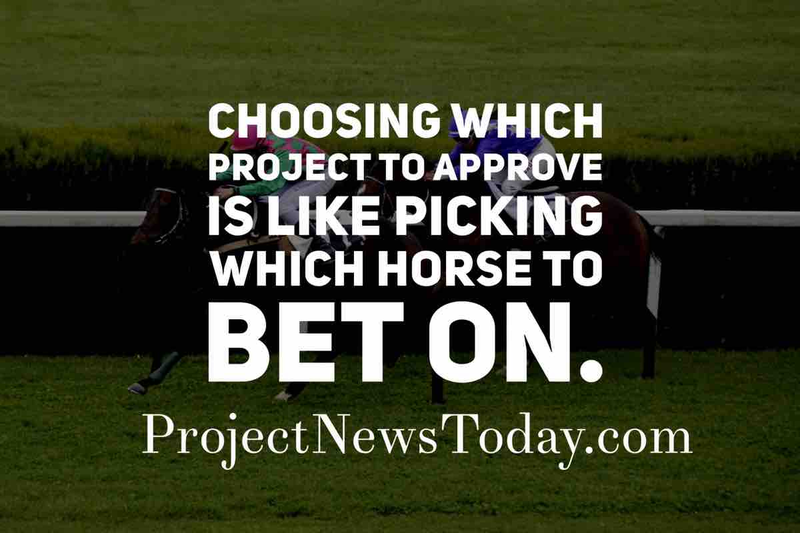 This will benefit the project as people are more likely to identify potential risks. Mulally closed down many dealerships along with selling off Aston Martin and Volvo. He also reduced Ford’s stake in Mazda. He started focusing on one car only: the Ford Focus. Concentrating on innovation and revamping car designs. By 2010, the company was reporting a pre-tax operating profit of $8.3 billion. 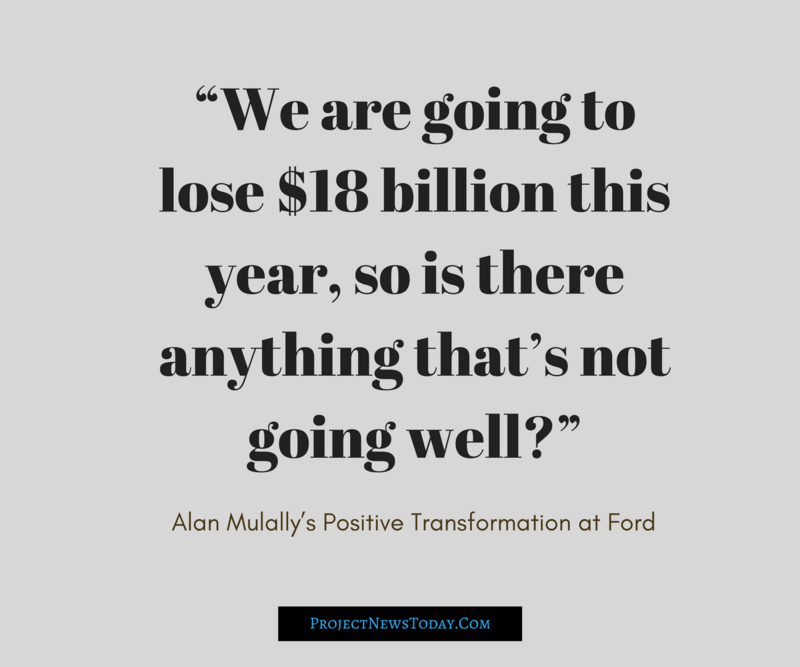 Within four years of joining, Mulally had Ford profitable again. This is one of the greatest turnarounds in history. All done without accepting any bailout money from the government. This particularly applies to projects that have been ongoing for a while and have lost their way. This is often due to scope creep (the original list of work has increased). 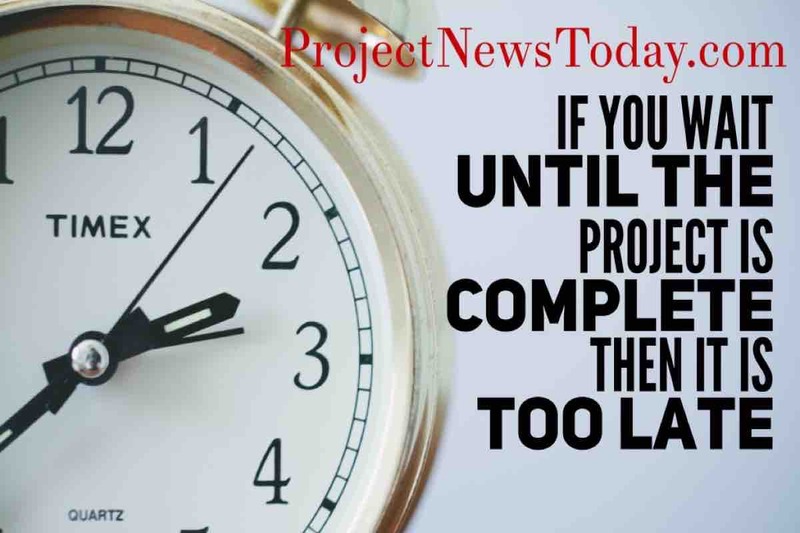 Instead of stopping the project go back to what the project first set out to achieve. This can get a project going again. By refocussing the scope and cutting out the extra parts can bring a project back on track. There is no point as the project manager always reporting that the project is green. Saying everything is ok and then towards the end start to panic as everything is broke. Most people are aware of the need to have a clear project plan yet it is also important to have vision and focus. Showing someone how the task that they are doing links to the benefits of the project is a huge motivator. Also showing what the focus should be will help give the project team clarity on what they should be working on. An easy way to make things simple on your project right at the start is making sure the scope is clear. During the delivery of the project it is a good idea to break the project down into easy to understand small parts. Good project management requires good leadership. Be open and honest with your project team and this will encourage them to be open and honest with you and each other. This particularly applies to projects that have been ongoing for a while and have lost their way. 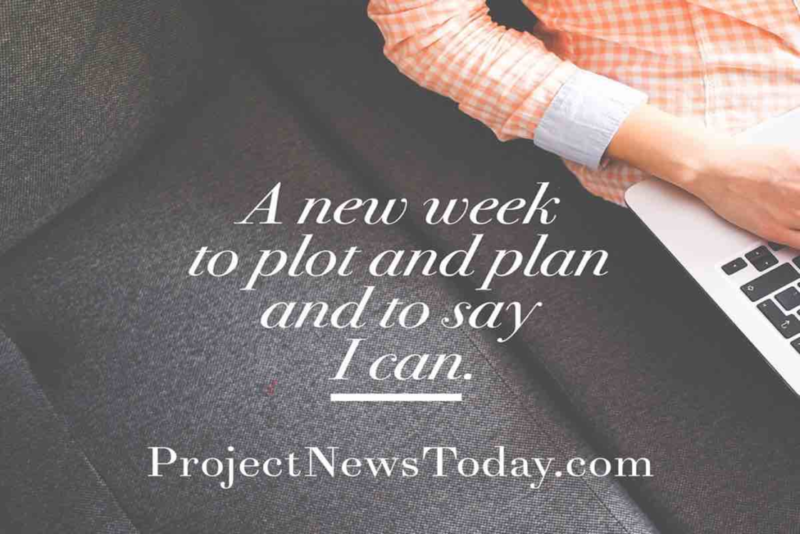 Instead of stopping the project go back to what the project first set out to achieve. This can get a project going again.